Pieces created with the Art Jewelry Elements component of the month. This month I decided to take part in the Art Jewelry Elements design challenge to make something using artisan made headpins. In an earlier post I showed the polymer clay headpins that I made to use for this challenge. I decided to make several so that I’d have scope to make something other than earrings. 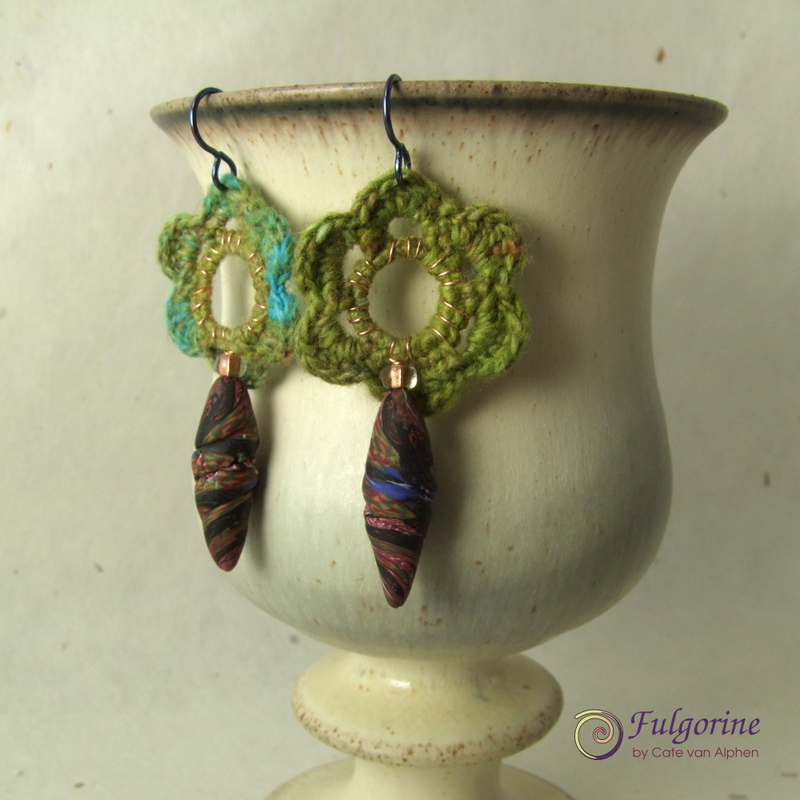 Therefore the first thing I made was a couple of pairs of earrings. I bent the headpin wire into a circle and crocheted over it. I like the negative space that the circle creates. 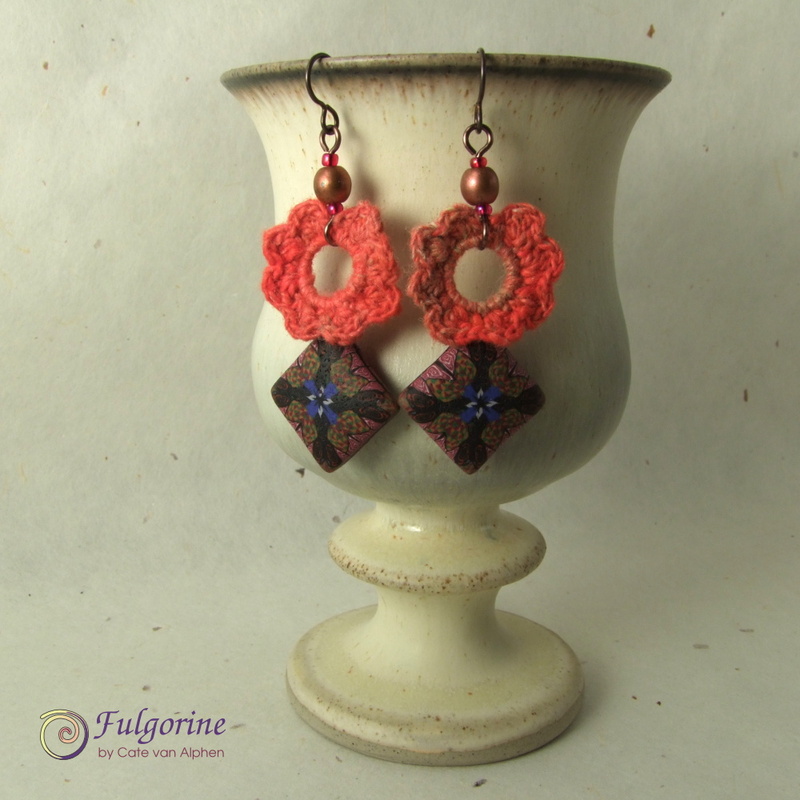 One pair of earrings had petals, and the other was just a simple circle. 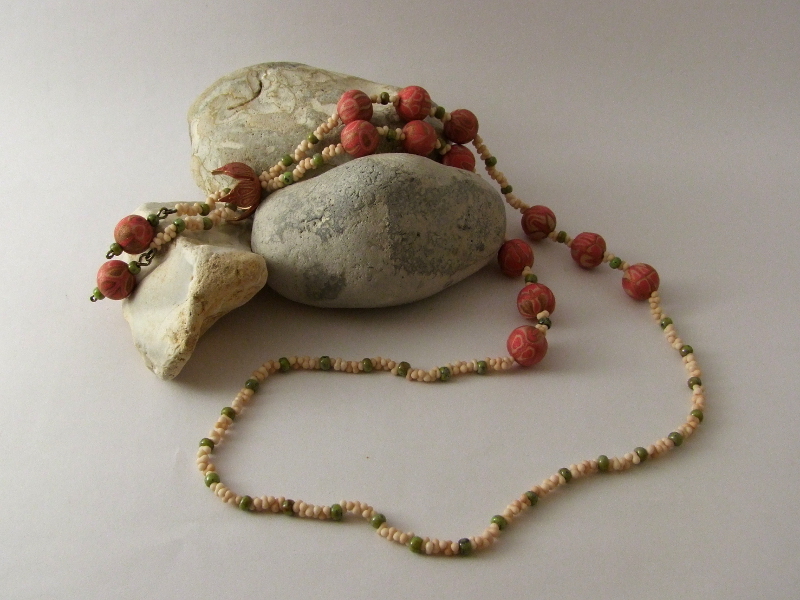 Next I combined the petalled circle with the simple circle to create a necklace featuring a crocheted chain. There are a few things I’d like to do a bit differently, but it was so time-consuming to make that I’m not going to change this necklace. Perhaps one day I’ll have a go at making another version. The yarn I used changes colour, so I decided to jumble the loops to create a patchwork contrast. I’d like to try crocheting from one end to the other to create a more subtle ombre effect. The other disappointment is that the chain links pretty much obscure the flower design. So I had a go at another pair of earrings to see if I could improve the flower shape. 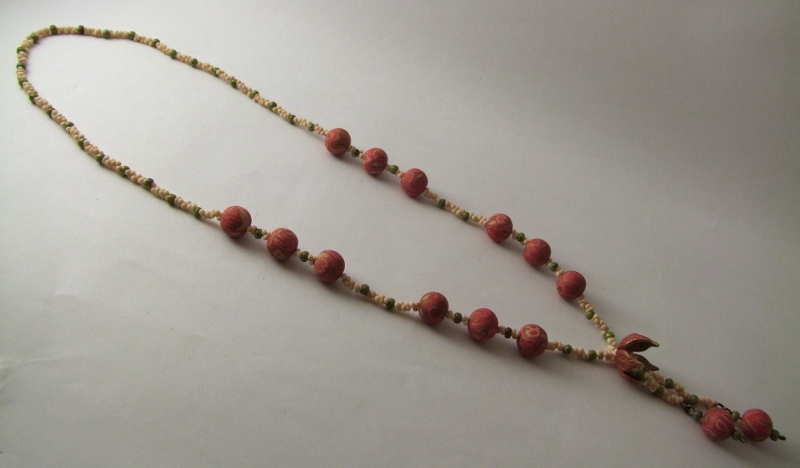 I still need to think about how to link the flowers together without obscuring them to form a necklace. In the mean time I’m looking forward to seeing what the other participants have made. I’m really sorry this is late, I have been so focused on my Fimo colour mixing I lost track of the date. Here is my Component of the Month reveal for December (and it includes the missing steps from my Art Bead Scene pieces). 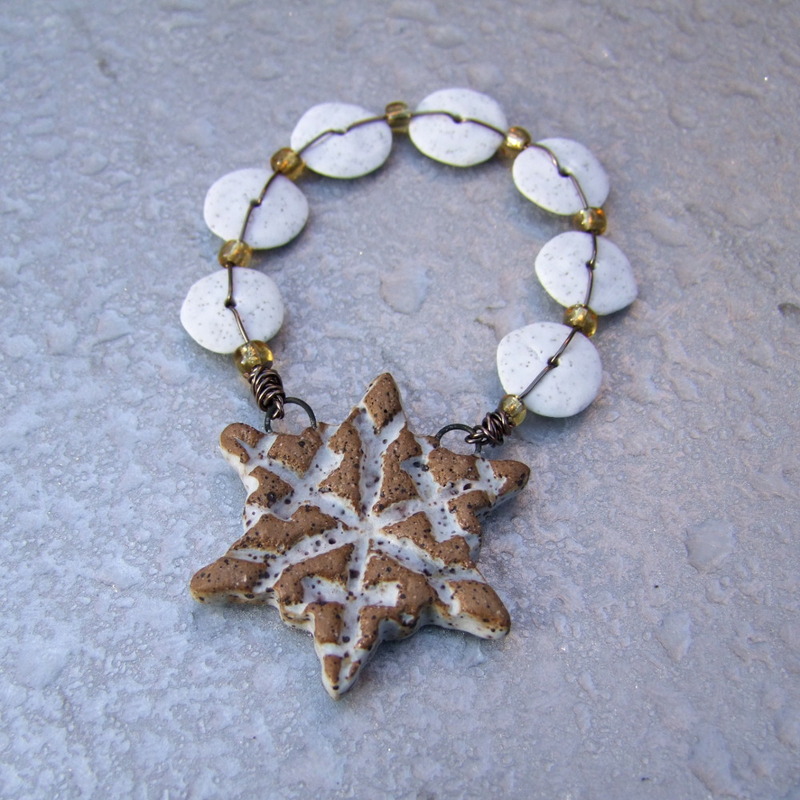 I received this beautiful snowflake by Diana Ptaszynski of Suburban Girl Studio. 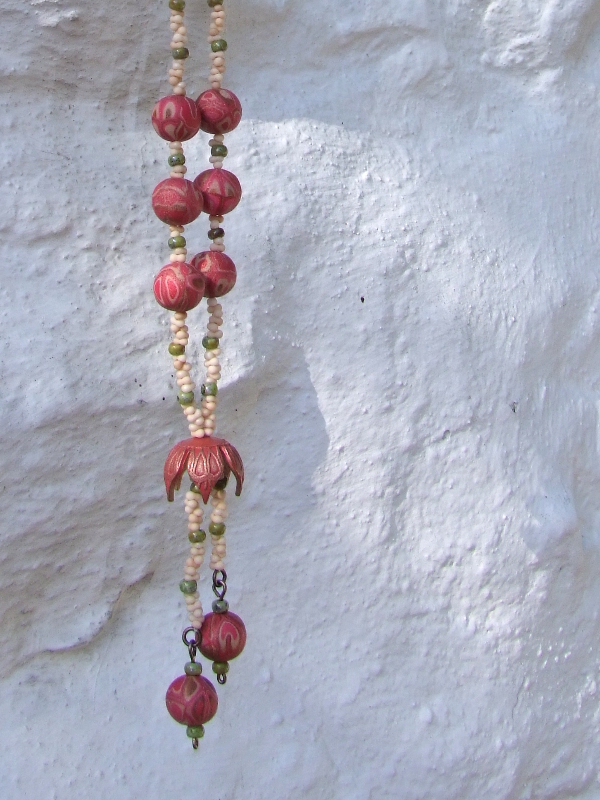 I did think it was extravagant using an art bead to make an ornament until I saw this post. Think of it a s jewellery for the tree 🙂 I know Christmas is over, but when I was making this in mid December, I couldn’t resist. I was lucky enough to be selected to work with one of the Art Jewelry Elements component of the month. Now I’m eagerly waiting for the snow! Come back on the 3rd January 2015 and see what I make with it. 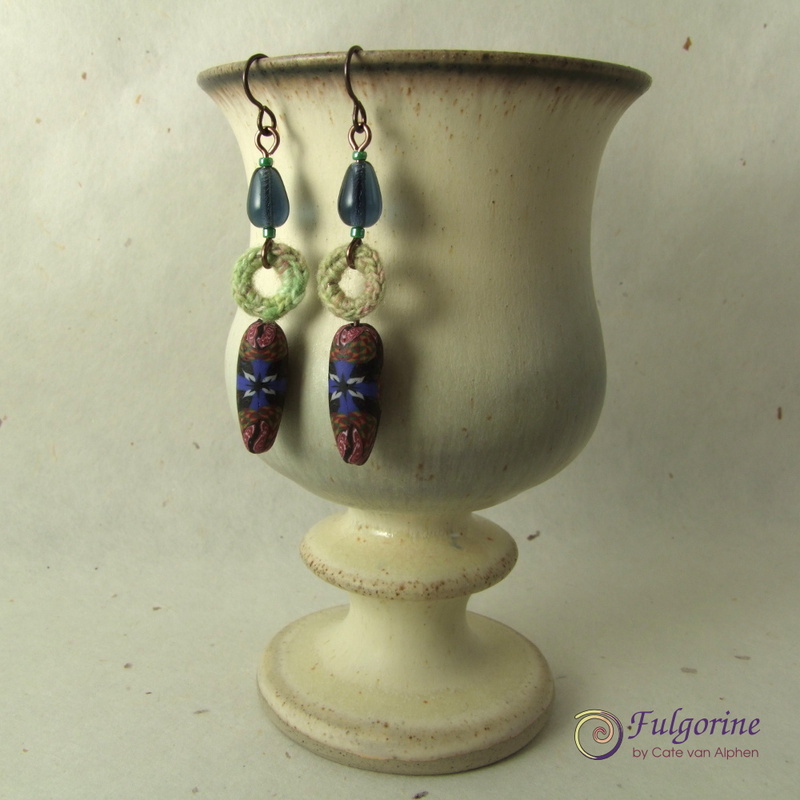 I made some polymer clay beads in colours to match and used my new secret weapon – tiny matte peanut beads with some green beads for contrast. 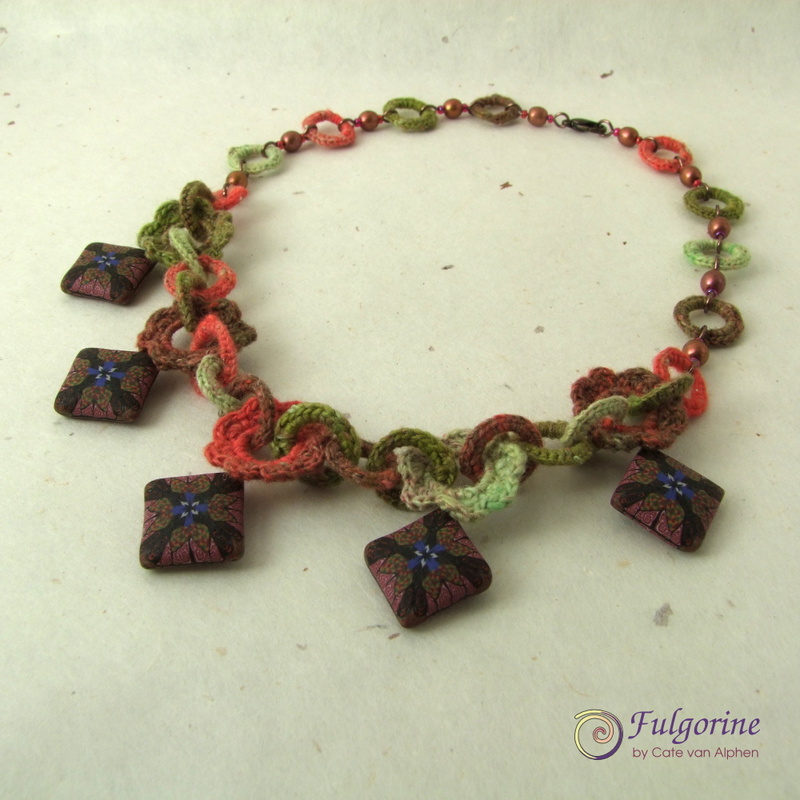 Amazingly the colours fit perfectly with the Art Bead Scene challenge this month even though I purposely did not look at the inspiration painting untill I had finished this necklace. 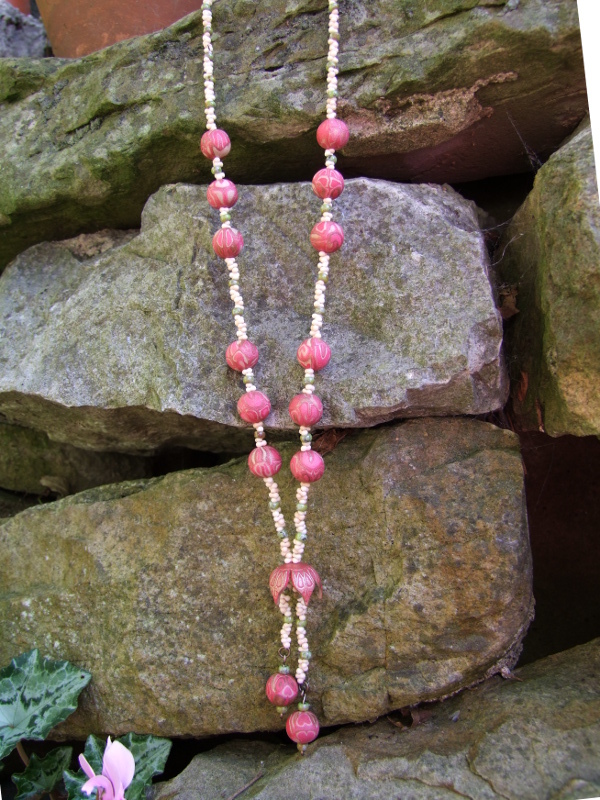 The necklace is a bit longer than normal so I struggled with taking pictures. I went alfresco for some more photographs. And now have a look at what the other seed pods became when they grew up. Thanks Lesley for letting me work with your lovely component. This month I put my name in the hat for the Art Jewelry Elements Component of the Month and **happy dance** I WON. Come back on 30th September 2013 to see what I make with one of Lesley Watts’ beautiful bronze clay “Bursting Seed Pods”. I just hope I can do it justice. Squeeee!